It’s shaping up to be quite a nostalgic week, especially for fans of Japanese cars. We were greeted with the Toyota Mark X Final Edition yesterday, a farewell to a series that started 50 years ago with the Corona Mark II. It’s a great story, but this one will resonate more with Malaysians, as the Mitsubishi Pajero is a household name that needs no introduction. A true icon. 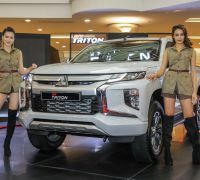 MMC has started selling the Mitsubishi Pajero Final Edition, a 700-unit run to bid farewell to the famous 4×4, which will be discontinued in the Japan market in August. Note that this does not involve other markets, but it’s possibly a matter of time before the ageing icon bows for good. The Pajero Sport sold in our region is a completely different beast, as it’s based on the Triton pick-up truck. Launched in 1982, the Pajero became popular due to its blend of off-road capability and (relative) passenger car feel. The second-generation Pajero surfaced in 1991 with the now famous Super Select 4WD system. A big shift came in 1999, where the third-generation Pajero adopted a monocoque body with a built-in ladder frame, achieving both weight reduction and high rigidity. In 2006, a heavily-revised version debut as the fourth-gen Pajero, which persists till today. 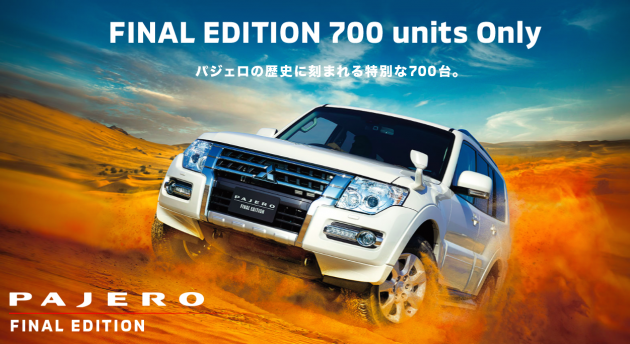 As of March 2019, over 640,000 units of the Pajero has been sold in Japan, in addition to the countless units sold worldwide and used in harsh conditions. Speaking of that, conditions don’t come harsher than in the Dakar Rally, and the Pajero is an undisputed legend in the world’s toughest race. Since its first entry in 1983, the Pajero has collected 12 overall Dakar Rally wins, including seven successive victories in a golden spell for the 4×4. Pajero = Dakar, and the race success it enjoyed burnished the model’s reputation for being tough as nails. Lastly, the JDM Pajero Final Edition is based on the highest spec available and includes a black leather interior, powered front seats, seven-inch touchscreen head unit with navigation, black roof rails, a long sunroof, rear differential lock, front/side/curtain airbags and illuminated scuff plates with the LE’s serial number. Buyers will also get unique stickers and a Citizen watch with matching serial numbers. Powered by a 3.2 litre turbodiesel mated to a five-speed Invecs-II automatic transmission and Super Select 4WD II, the Mitsubishi Pajero Final Edition is priced at 4,530,600 yen (RM168,343) in Japan. Check out the massive image archive below. Which version of the Pajero is the one permanently embedded in your head? The transport ministry has announced that enforcement of the Vehicle Entry Permit (VEP) will begin on October 1. This will require any foreign motor vehicle entering the country through any route, landing place, check point, or point of entry to have a valid VEP from that date. The ministry said via a statement that VEP enforcement will be implemented in phases, starting with entry points from Singapore. 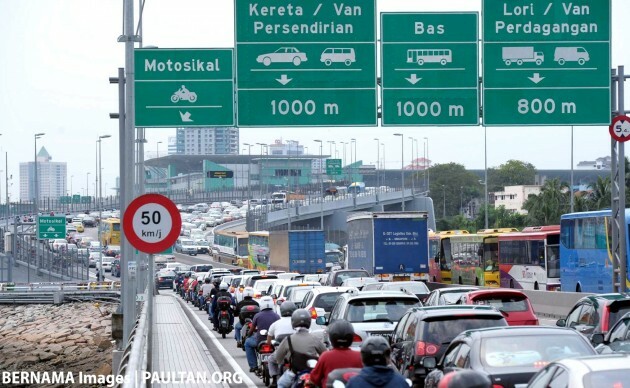 All foreign-registered vehicles entering the country through Bangunan Sultan Iskandar and Kompleks Sultan Abu Bakar will require a VEP from October 1. Vehicles without a VEP then will not be allowed entry into Malaysia. The second phase will involve all entry points/land borders between Malaysia and Thailand,while in phase three, VEP will be enforced at all entry points/land borders between Malaysia-Brunei-Indonesia. The enforcement dates for vehicles entering and exiting through these entry points/land borders will be announced in due course. Registration for a VEP, which is issued by the road transport department (JPJ), can be done online here. Once registered, the owner of the motor vehicle will receive an e-mail notification to schedule an appointment for the installation of the VEP-RFID tag, for which all required documents need to be brought along. The ministry said all vehicle owners who have yet to register for the VEP are reminded to do so as soon as possible. The VEP for each registered motor vehicle is valid for a period of five years. 14 comments | Leave a comment? Japanese automotive parts retailer Autobacs has now brought its range of fully synthetic engine oils into the Malaysian market, having signed an exclusive distribution deal with CKL Group, the parent company of the Lim Tayar network of service outlets. The Japanese brand’s fully synthetic oils in 5W-30, 5W-40, 0W-20 and 0W-30 viscosity grades for both petrol and diesel engines are now available for the Malaysian market, with the brand’s semi-synthetic oil set for introduction here in the third quarter of this year. 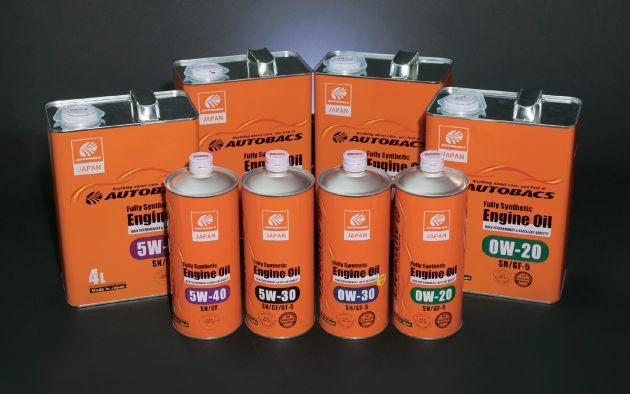 According to Autobacs, the 5W-30 and 5W-40 grades of fully synthetic oil are for petrol and diesel vehicles, while the 0W-20 and 0W-30 grades of oil are for petrol and diesel vehicles with idle-stop (automatic stop-start) functions. “Autobacs is very pleased to enter this distribution agreement with CKL Group so we may bring our products, formulated with Japanese R&D technology, to a wider group of consumers in Malaysia. We look forward to a long and prosperous working relationship with CKL Group,” said Autobacs manager of overseas business Hidemitsu Ansai. The CKL Group comprises vehicle servicing, automotive retail distribution and vocational education, while its Lim Tayar vehicle service network currently has 20 outlets across the country, with plans for further expansion in the works. As for Autobacs, the Japanese brand was founded in 1948 as a wholesaler and retailer of automotive parts in Osaka, Japan, and presently has 600 outlets in its home country. 10 comments | Leave a comment? During a group interview following the launch of Tan Chong Subaru Automotive (Thailand), or TCSAT, a question was posed to Glenn Tan, managing director of Tan Chong International (TCIL), seeking clarification on why such a facility was not built in Malaysia. 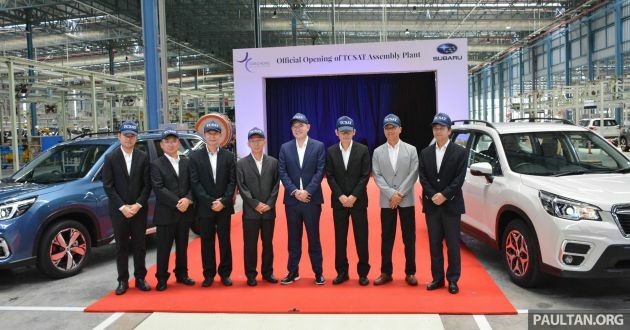 The TCSAT facility was built with an initial investment of five billion baht, with TC Manufacturing and Assembly Thailand (TCMA TH), a subsidiary of Singapore-based, Hong Kong-listed TCIL owning a 74.9% share, while Subaru Corporation holds the remaining 25.1%. According to Tan, production capacity is one of the main challenges being faced. 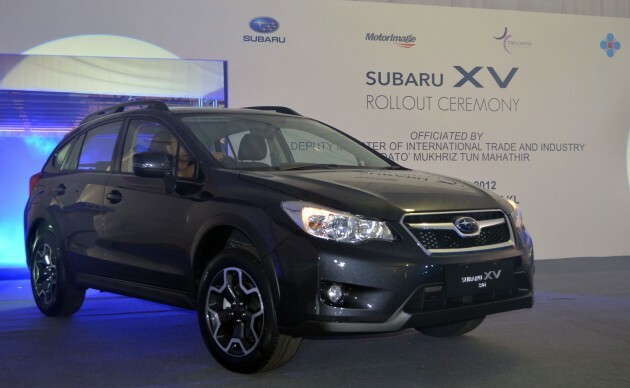 Assembly of Subaru vehicles already exists in Malaysia as part of a contract with Tan Chong Motor Assemblies (TCMA) in Segambut, with the second-generation XV and fourth-generation Forester currently being made at the plant for both Malaysia and Thailand markets. However, there is a limit in terms of production capacity allocated to these vehicles, which is said to be around 600-650 units per month. As a result of this limitation, deciding how many XVs and Foresters to be produced had an effect on the delivery schedule to customers. The Segambut facility isn’t just dedicated to producing Subaru vehicles, but also models from other brands like the Mitsubishi ASX and Renault Captur. Tan noted that there was a special understanding with Nissan that allowed for Subaru vehicles to be assembled there in Segambut in the first place. Tan also stated that building a new plant in Malaysia would destabilise the existing partnership with TCMA. Therefore, the decision was made to build the new TCSAT plant upon land it already owned in Thailand, which is in a special economic zone. As such, the company enjoys tax exemption on machinery, equipment and tools. Additionally, selling the Thailand-made cars in the Kingdom is not affected by duties as well. 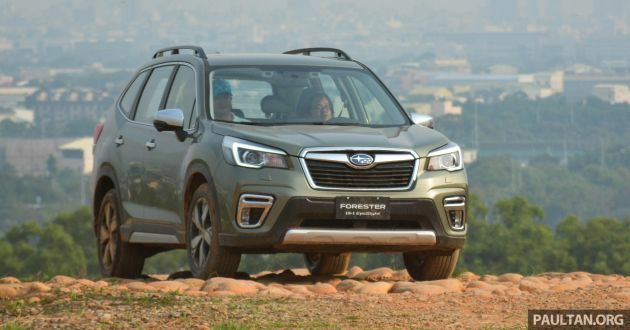 With the TCSAT plant assembling the fifth-generation Forester initially, this will ease the demands on the Segambut plant, which can now focus on XV production, while slowly phasing out production of the fourth-gen Forester. 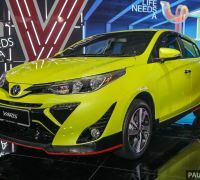 As the fifth-gen model will come to Malaysia from Thailand, there’s no need to continue model splitting when it comes to production in Segambut. Will this arrangement change in the near future? Not for now, at least for this generation of the XV, according to Tan. “The XV has another four years to go so I’ve not decided what we’re going to do with the XV, whether to move production to Thailand or not,” said Tan. He noted that the TCSAT plant was designed to handle four models, with a production capacity of 100,000 units annually when operating on two shifts, or half of that on just one shift. Given the fact that the XV was launched just last year, it’s unlikely that the second model assembled at TCSAT will be the XV until (at least) the next generation of the model arrives. “So, if we do assemble another model here (TCSAT) first before the XV, I need to see if the total production number reaches the capacity of one shift. I need to consider whether or not moving the XV makes it viable to move to two shifts,” Tan explained. 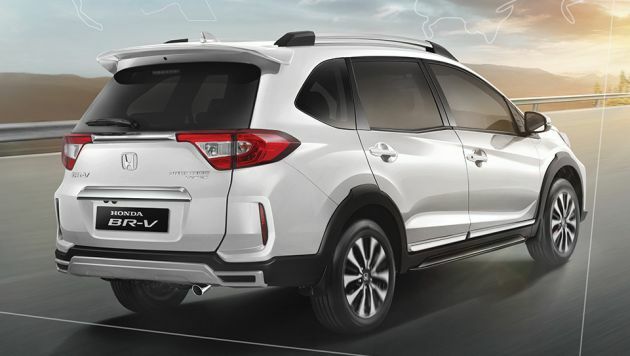 “I think based on how I look at it, I’m more likely to keep the XV in Malaysia simply because I find it very difficult to move from one shift to two shifts with an additional bump of 5,000 units. So, moving from a borderline 50,000 units to 55,000 units, and then moving to two shifts, it doesn’t make sense. You may as well jump to 70,000 or 80,000 units but I don’t have that kind of volume,” he added. “So, Segambut gives us a good path to continue this kind of 600-unit volume production for Malaysia and Thailand. The other thing is the XV at the next generation will introduce a LHD also, and when we do, should Segambut be the one doing it? They will be totally maxed out.” Tan noted, adding the LHD units will be destined for export markets like Vietnam and Cambodia. “So, the next generation (XV) will definitely have LHD. 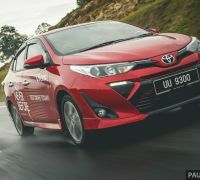 Should the volume be enough for just Segembaut , then we will keep (producing) it in Segambut as RHD and LHD, and that will probably max out the capability, and the majority of (the cars made there) will be exported,” he noted. The Honda BR-V has received a mid-life facelift after slightly over three years in the market. 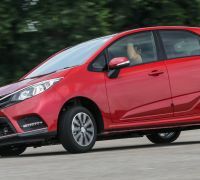 The first country to receive the update is Indonesia, where the seven-seater goes up against the Toyota Rush, Daihatsu Terios and Mitsubishi Xpander/Nissan Livina. All are three-row Low MPVs with SUV-inspired styling. It’s clear where the inspiration for this facelift comes from. The BR-V’s CR-V-inspired front end receives a black bar across the nose to replace the previous chrome one. There’s still one thin chrome strip linking the headlamps, but the visual effect is of a larger, bolder grille. The projector headlamps appear similar, but there are new (for Indonesia, we already have it) LED daytime running light strips. It might look similar at a glance, but the bumper has been re-profiled. The side borders now have a vent-like look and they point up towards the headlamps, as opposed to inside towards the grille. The fog lamp surrounds and silver “skid plate” look a lot more elaborate than before. Those changes are mimicked at the rear, which gets a fancier-looking silver “diffuser” section and bumper side borders that are now filled with vertical reflectors. The reflectors were previously at the lowest part of the bumper, flanking the “diffuser”. The bridge linking the tail lamps is now in chrome. Rounding up the exterior changes are new design 16-inch two-tone alloys. Inside, the dashboard design remains, but Indonesia now gets a Civic FD-style steering wheel that matches Malaysian-spec BR-Vs. Look closer and you’ll find new tweeter speakers, new dashboard trim (brushed grey piece on the passenger side) and an auto function for the air con, which Malaysian BR-Vs already have. Honda aimed for a sportier feel, and the top spec car’s black-themed cabin gets black leather-trimmed seats with a red spine. That’s matched with red leather pads on the door armrests, and leather wrapping for the steering and gear knob, with red stitching. Honda Indonesia also highlights thicker second row seat cushions and a new centre headrest for the middle row. There’s also a driver seat height adjuster, which we already get here. New equipment for the Indonesia-spec BR-V includes an eight-inch “floating” capacitive touch screen head unit with WebLink (smartphone mirroring) and keyless entry with push start. However, the airbag count is still two, supplemented by ABS, VSA and hill start assist. No change to the powertrain, which links up a 1.5 litre i-VTEC engine (120 PS, 145 Nm) with a CVT automatic or six-speed manual gearbox. Unlike the Rush/Terios, power goes to the front wheels. 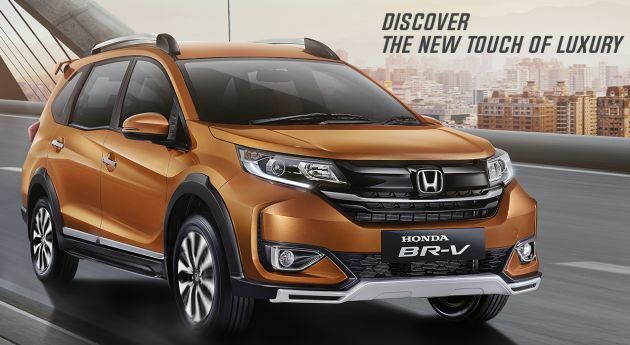 Four variants of the 2019 BR-V facelift is available in Indonesia – the S MT at Rp 238 juta (RM69,347), the E MT at Rp 252.5 juta (RM73,563), the E CVT at Rp 262.5 juta (RM76,477), and the Prestige CVT you see here at Rp 279.5 juta (RM81,432). Six colours are available, and they are Tafetta White, Lunar Silver Metallic, Modern Steel Metallic, Crystal Black Pearl, Coffee Cherry Red Metallic and the signature Premium Amber Metallic seen here. The latter two hues are reserved for E and Prestige trim levels. 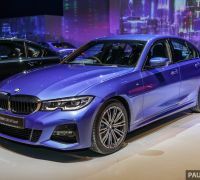 BMW Malaysia has announced the expansion of its G30 BMW 5 Series range in the country to four models with the introduction of two new variants, the 530e M Sport and 520i Luxury. The duo join the 530i M Sport and 530e Sport in the local line-up. The 530e iPerformance plug-in hybrid made its debut here in Sport Line guise last year, and the car now comes dressed in M Sport form. The exterior features BMW Individual high-gloss Shadow Line elements, M aerodynamics package, M badging on the front fenders and M Sport brakes with blue-painted brake calipers. At the back, the car gets light chrome trapezoidal-shaped exhaust tips, and completing the look are 19-inch M light alloy double-spoke 664 M wheels in black with mixed tyres. Standard fit items include LED fog lights and adaptive LED headlights, which is an upgrade from the full-LED units found on the 530e Sport. The headlights also feature BMW Selective Beam, an anti-dazzle high-beam assistant. 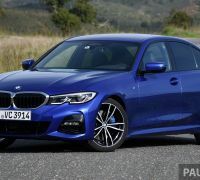 No revisions to the powertrain, and so the 530e continues on with the output of its B48 2.0 litre turbocharged four-cylinder petrol engine unchanged. The unit offers 184 hp from 5,000 to 6,500 rpm and 290 Nm of torque from 1,350 to 4,250 rpm. The mill is paired with a 113 hp/250 Nm electric motor, and total system output is 252 hp and 420 Nm of torque. With power transferred to the wheels by an ZF eight-speed automatic transmission, performance figures include a 0-100 km/h time of 6.2 seconds and a 235 km/h top speed. Inside, the 530e is furnished with Dakota leather upholstery, with interior trim finishers in Aluminium Rhombicle and highlight trim finishers in Pearl Chrome. The centre console now also gets leather trim. As you’d expect, aside from front sports seats, there are quite a few M elements to be found, and these come in the form of an M leather steering wheel, M illuminated door sill finishers and M-specific pedals. Elsewhere, the equipment list follows on that seen in the 530e Sport Line, with items such as Comfort Access keyless entry and tailgate operation, a four-zone auto climate control, sun blinds for the rear windows (manual) and windscreen (electric) and 11-colour interior ambient lighting. Also on, ConnectedDrive, a Navigation Professional system with a 10.25-inch touchscreen, a 12.3-inch multi-function instrument display, a 12-speaker, 205-watt HiFi sound system, reverse camera as well as Parking Assistant, which offers automated parallel and perpendicular parking. Like the 530e Sport, there’s no BMW Display Key or Gesture Control system here, items that are of course on the petrol 530i. Also, the car doesn’t feature adaptive cruise control – this was on the CBU 530i but omitted from it when the car switched to local assembly. As such, the 530e M Sport comes with a passive cruise control system with braking function. Safety-wise, the car comes with a Driving Assistant package, which includes Lane Departure Warning, Lane Change Warning and front collision warning with autonomous emergency braking (AEB), rear crossing traffic alert and rear collision prevention. The 530e M Sport is available in Black Sapphire or Sophisto Grey, paired with either black or Night Blue Dakota leather upholstery, or in Bluestone or Alpine White with black Dakota leather upholstery. Moving on, we come to the 520i Luxury, which features a Chrome Line exterior, with the ornamental kidney grille as well as front bumper getting shiny elements. The variant, which sits on 18-inch light alloy V-spoke style 684 wheels, also comes with LED fog lights and adaptive LED headlights along with BMW Selective Beam. The 520i Luxury is equipped with the same B48 2.0 litre petrol engine as its hybrid sibling, the TwinPower Turbo unit delivering an identical 184 hp from 5,000 to 6,500 rpm and 290 Nm of torque from 1,350 to 4,250 rpm. Paired with an eight-speed Steptronic transmission, the car does the 0-100 km/h run in 7.8 seconds and has a 235 km/h top speed. The 520i Luxury’s interior features Dakota leather upholstery and a Sensatec dashboard, the latter making its way on to the 5 Series for the first time locally, even the 530i never having had it. Elsewhere, the interior trim is finished in black high-gloss with highlights in Pearl Chrome. Kit includes front sports seats, a sport leather steering wheel and illuminated aluminium door sill finishers, along with an 11-colour ambient lighting system. Like the 530e M Sport, the 520i Luxury comes with ConnectedDrive, which features items such as Intelligent Emergency Call and Teleservices in its workings, as well as Navigation Professional system and a 12-speaker, 205-watt HiFi sound system. 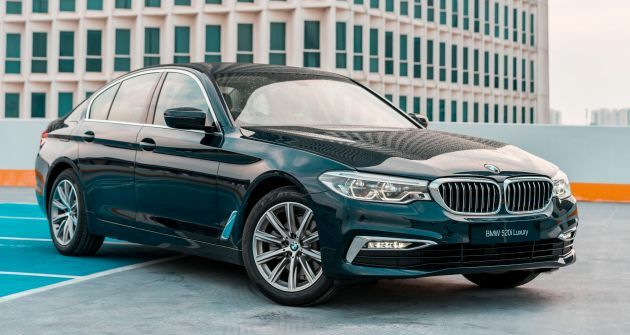 Other items include Comfort Access, automatic air-conditioning with four-zone control, but unlike the 530e, the driver assistance kit on the 520i is limited to passive cruise control with braking function, Parking Assistant and a rear view camera. The 520i Luxury is available in Black Sapphire, Glacier Silver, Imperial Blue or Alpine White, and all exterior colours are paired with black Dakota leather upholstery featuring exclusive stitching in contrast black. The BMW 530e M Sport is priced at RM338,800, which is just RM10k more than the 530e Sport (RM328,800), but RM34k less than the 530i (RM372,800). 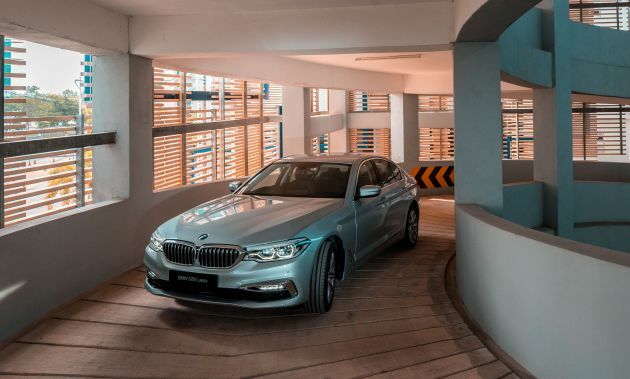 As for the 520i Luxury, that is priced at RM328,800 (both on-the-road, without insurance), making a very strong case for the 530e M Sport – for RM10k more, there’s quite a bit of additional kit and safety equipment. Both new 5 Series variants come with BMW Malaysia’s latest five-year Unlimited Mileage Warranty, Free Scheduled Service Programme and BMW Tyre Warranty Programme. Here’s something that promises you a very different drive experience, in the snow. All you need to do is buy a brand new Jaguar or Land Rover* at the Ice Drive Weekend Sale this April 27-28 and you’ll be on your way to an all-expenses paid trip to Sweden. 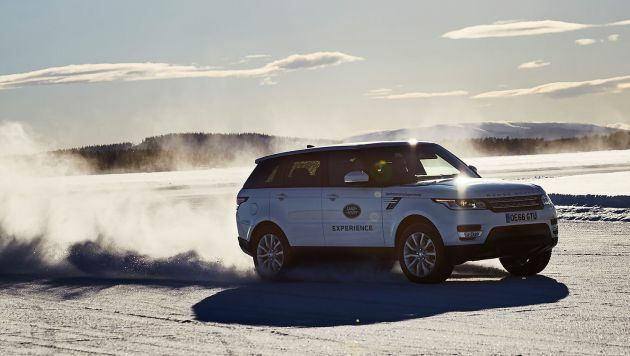 There, you’ll be able to sample what it’s like to drive a Jaguar or Land Rover on ice. The Ice Drive Experience, as it’s called, promises to be something truly memorable. 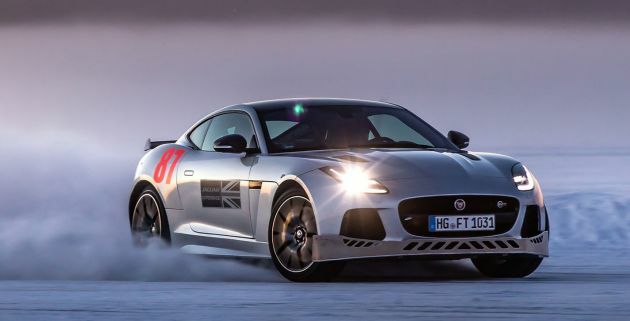 Each vehicle purchase at the sale will entitle buyers a single slot in the programme, inclusive of the Jaguar Land Rover Ice Academy programme, flights and accommodation. The Ice Drive Experience promotion will only be available during the event, so make sure you don’t miss it. The company will also be conducting various other promotions, and these will only be valid during the Ice Drive Weekend Sale. Enjoy 20% off on Land Rover Lifestyle Collection and Jaguar Lifestyle Collection items and also a 20% discount on Land Rover Gear and Jaguar Gear, the automakers’ range of genuine accessories. These accessories are covered under the vehicle warranty should you specify them with your vehicle purchase. *Promotion is valid based on availability and applicable for selected models and units only. While stocks last. **Based on whichever comes first. Warranty – five years or 150,000 km. Servicing – five years or 65,000 km, and three years or 60,000 km for the Land Rover Defender. Terms and conditions apply. Comments are Disabled | Leave a comment? The Blue Oval has invested US$500 million (RM2.07 billion) into automotive technology company Rivian, which has a pair of clean-sheet design vehicles in the pipeline, namely the five-seater R1T pick-up truck and the seven-seater R1S SUV. The two companies have agreed to work together to develop an all-new battery-electric vehicle using Rivian’s flexible skateboard platform, Ford said. Rivian will remain an independent company, and the investment is subject to regulatory approval, Ford said. Subsequent to the investment, Ford president of automotive Joe Hinrichs will join the seven-member board at Rivian. “Ford has a long-standing commitment to sustainability, with Bill Ford being one of the industry’s earliest advocates, and we are excited to use our technology to get more electric vehicles on the road,” said Rivian founder and CEO RJ Scaringe. The American automaker intends to develop a new vehicle with Rivian’s flexible platform, and this will be in addition to Ford’s existing plans for the development of battery-electric vehicles. Thus far, the automaker has confirmed two EVs, the Mustang-inspired crossover, and a fully-electric version of the popular F-150 pick-up truck. 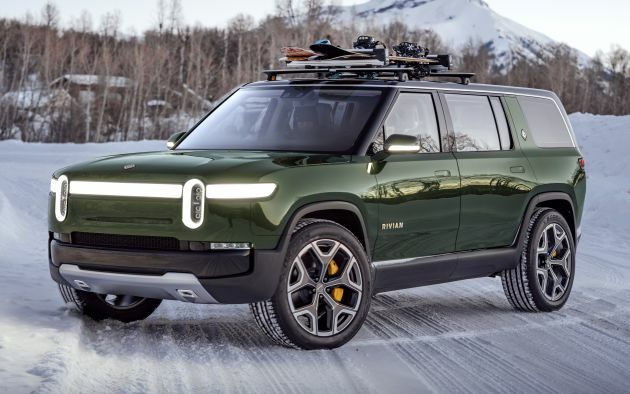 Rivian hopes to put the R1S SUV and R1T pick-up truck models into the market from US$68,000 (RM281,180) onwards, with the R1S aimed at the likes of the Tesla Model X as well as models from Land Rover and Porsche, The New York Times reports. The publication adds that Rivian has set a goal of selling 20,000 vehicles in 2021 and double that in 2022. These are slated for production at a plant in Normal, Illinois, which was acquired in 2016. 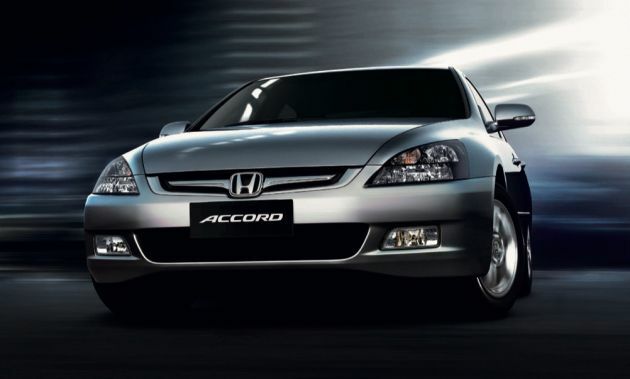 Honda Malaysia (HMSB) has issued a recall for 9,998 units of the Accord 2.0L for a second replacement of the Takata driver front airbag inflator as a preventive measure. The affected units are 2003 to 2007 model year vehicles, and the model was previously part of a recall issued in 2015. The company believes this second recall is necessary as a precautionary action and urges affected customers to replace the defective Takata driver front airbag inflator as soon as possible. The replacement work will be done free of charge, with the cost of the replacement being borne by the company. Affected customers will receive notification letters from Honda Malaysia with the details of this product recall and stock availability. It said stock of the replacement will be available in stages and the company is doing its utmost best to ensure 100% stock availability in the shortest period of time. The company urges Honda customers who have yet to have their affected Takata front airbag inflators replaced to do so without delay as it may deploy with excessive internal pressure when activated. The defective airbag inflator casing might rupture which may result in injury or fatality of the driver and passenger. The company said at present, there have been no crashes or injuries reported in Malaysia related to the Takata driver front airbag inflator in the 2003-2007 MY Accord 2.0L. It added that all its current selling models are not affected by the recall. As of April 21, 2019, HMSB says it has completed more than 243,720 units of Takata driver front airbag inflator replacements, which translates to a 92% completion ratio. The total number of Takata driver and passenger front airbag inflator replacements completed is at more than 527,480 units, or an 89% completion ratio. Vehicle owners can check their vehicles’ recall status here or by calling the Honda Toll Free number at 1-800-88-2020. 5 comments | Leave a comment? 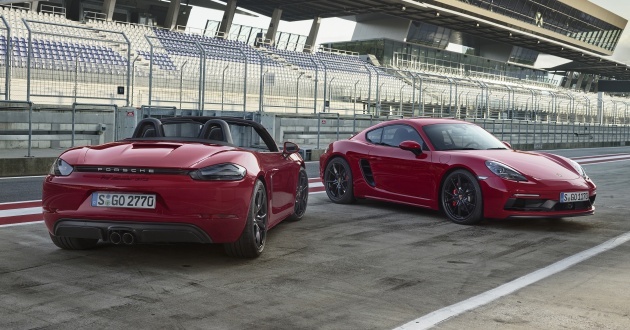 Fully electric versions of the Porsche 718 Boxster and 718 Cayman two-seaters are being developed for a 2022 debut, and Porsche is considering offering them alongside mild-hybrid and plug-in hybrid versions of the current models, Autocar reports. “We have prototypes of the 718 running in electric now, and a hybrid prototype is being built. 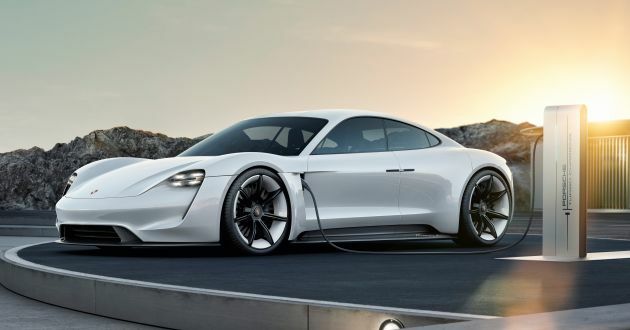 If you look to the next generation of those cars it is possible, although it is not yet clear whether it would be plug-in hybrid or hybrid,” Porsche chairman Oliver Blume told the publication. The revised direction of pursuing hybrid and plug-in hybrid versions of the 718 Boxster and Cayman is understood to have been taken following the German automakers’ internal engineering study’s revelation that lithium-ion battery technology has yet to become advanced enough to enable pure EV versions to attain more than 300 km in range without significant changes to the current mid-engined platform. This approach for the two-seaters is mirrored by the Macan, which although will use the Premium Platform Electric (PPE) architecture, won’t do so exclusively. The SUV will continue to be produced on the existing MLB platform, albeit with new hybrid powertrains, and the pure electric driveline will be the domain of the new PPE foundations. “For at least two to three years we will have both. At that point, we can decide whether to upgrade the combustion engines to the new Euro 7 standard or go full electric. The pace that countries are changing is different; China wants electric now, Russia is in less of a hurry, for instance,” Blume noted. Sources tell Autocar that the new electrified powertrains for the mid-engined, 718 models are developments of those already designed for the 911, and the work is to allow Porsche’s current internal combustion engines to meet the upcoming EU7 emissions regulations. As future, electrified 911s will retain the flat-six, so it will be for the flat-fours of the 718 models. Both mild-hybrid and plug-in hybrid models will feature a 48-volt electrical system and a disc-shaped electric motor, which will be adapted to a modified version of the 718 Boxster and Cayman’s seven-speed dual-clutch transmissions. As the names hint, the mild-hybrid setup will offer performance and efficiency gains, though without pure EV capability, while the plug-in hybrid will have extra battery capacity for electric running. While the aforementioned battery technology is a work in progress, it is progressing rapidly, according to Porsche insiders citing studies carried out by parent company Volkswagen, which predicts that lithium-ion cells will evolve to enable cell energy density to grow by 25% – both in volume and weight – between 2019 and 2025, the website reports. Volkswagen also expects the adoption of solid-state batteries to bring a further 25% gain by 2025, which would enable Porsche to package more energy into the same space without further weight penalties. To that end, Volkswagen has invested £76 million (RM405,949,166) in Quantumscape which gives Porsche access to the latest developments in solid-state battery technology, the publication reported.